Browse: Home / Choo-Choo! Garrison turns 2! 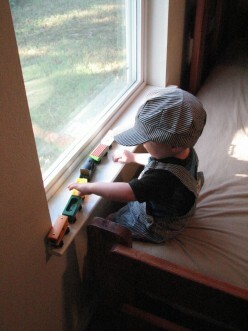 This little boy loves trains! He notices trains everywhere and excitedly points them out, saying “look, mom, train!” We get books from the library and he thumbs through them again and again. 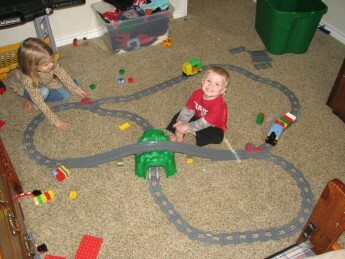 He spends hours hooking up train cars, laying track and making loud “hoo-hoo!” sounds. His cousin, Bruce, has a similar passion. 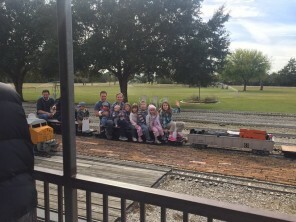 For their birthday we went to a model train yard that opens to the public once a month and gives rides. 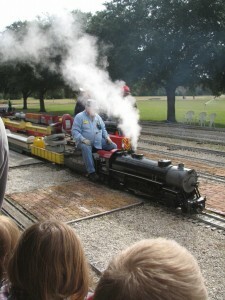 The track and trains were quite impressive, with a steam powered engine, tracks, signals, switches and bridges all like a real railroad. 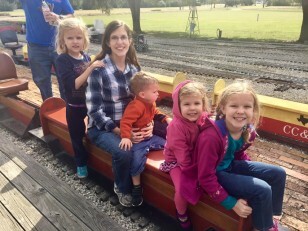 How many Cahills fit on a train car? All 10 apparently! (Skye is barely visible behind Ivy). Garrison rode the entire first round (about 15 minutes) in silence, just taking it all in. And the Cook cousins to help us celebrate. 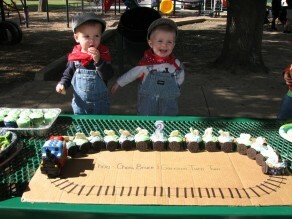 After a ride or two, we moved to the playground for lunch and a cute little cupcake train. Two little engineers tank up! 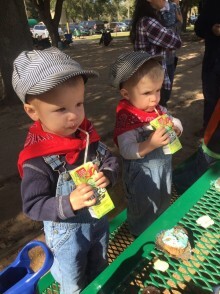 After the party we went back to the trains and rode several more times! Even little Ryder enjoyed the experience, bouncing himself up and down as we rode along. Happy Birthday to these cuties! May your enthusiasm for life never diminish! 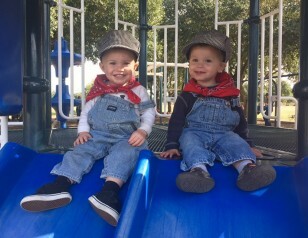 Love these two kiddos! 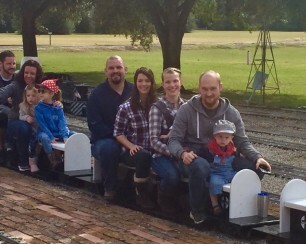 It was a beautiful day for a train ride!